I'm going to do it! Les Mis will be coming up very soon. If anyone would like to read it along with me that would be fantastic. No schedules or check-ins. Just knowing that someone out there is tackling it at the same time would make my heart happy. Interested? Bout of Books! I didn't participate as much as I had hoped to but I did read more than usual so I'm happy. It's been a fun/busy week at home. We're gearing up for a new school year, yay! My son is off to his sophomore year of high school. I don't homeschool him. He tried it for one year but It wasn't his thing. (No cute girls!) So, it's just my daughter and I at home. She'll be starting 8th grade. Back before I was a homeschooling mom this was my favorite time of year. I would skip around singing this. No lie. But now that I'm thinking about it, it's still my favorite. I love buying new clothes and new supplies. I like seeing what classes my son has picked and I love picking out curriculum and making plans for my daughter. I'm looking forward to a good year. I hope you guys and gals had a great week. What are you up to? Tell me about it! Can you believe it's back to school time already? I bought my two their supplies and clothes a few weeks ago. I like having them home, but it's good they keep busy with school. Have fun reading Les Mis! It's on my TBR. 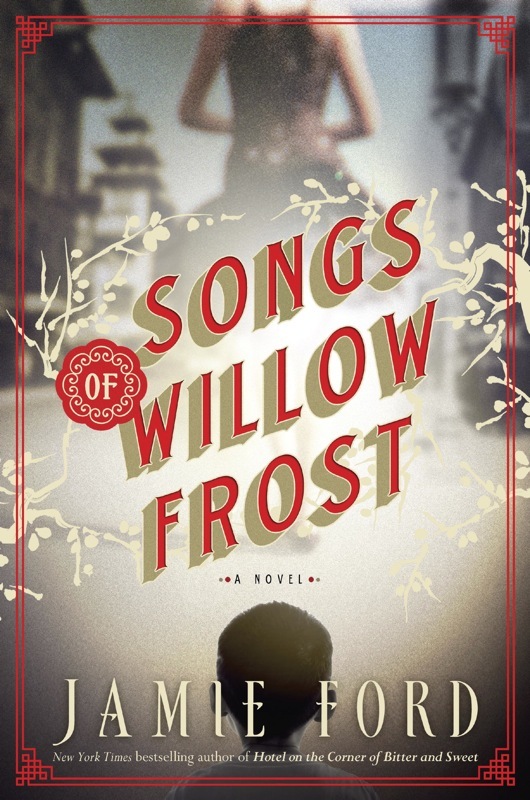 And the cover on Songs of Willow Frost is very pretty. Happy Sunday. Isn't it so much fun picking out supplies? I really miss the elementary school days...crayons!! ;) Have a great week Naida! We have another week of summer vacation and then it's back to school for my girls, too. I think they're looking forward to it. We start right after Labor Day. I don't know if my kids are exactly looking forward to it, lol. I'm going to start Les Mis today. Thanks for the good luck wishes, I think I'll need them! I admire you for being a homeschool mom! The public schools in our area are not great and, if we didn't have the option of the private school where we'll be sending our kids, I might have had to consider homeschooling. Honestly, that probably would have been a nightmare for all involved...I don't think either my daughter or I would have the patience for it (the jury is still out on my son....). So, kudos to you! Thanks so much Sam! I got your email :) Let's do this!! I think it's great you homeschool, we have seriously considered doing that. And fall is my favorite time of year, just cause I love the season! Thanks for the link, I LOVE that song- favorite Andy Williams (and fave Christmas song too for that matter). It's the most WONDERFUL time of the year! ;) I love fall too...mostly for the weather. All of your books are new to me...I'll be watching for reviews. I've been so lucky to be able to homeschool! Blessed :D Thanks for visiting Laurel. Happy Back to School! It's one of my favorite times of year, even when no one in my household is going back to school. Everything feels so fresh :) Ahhh, love it! Oh Les Miz... such a favorite. Sniff... Enjoy. I found your blog on Sherrey Meyer's website Between the Covers. I never want to pass up a chance to connect with a fellow book lover. Just finished Little Heathens and now reading The Chosen with THe Liar's Club in the queue. Yes, I'm into memoirs at the moment. My own blog is memoir-ish, describing my earlier life as Mennonite girl in Lancaster County, PA.
As far as I can tell you are an inveterate reader, teacher, mom and more with a sense of humor. Right? Thanks so much for visiting! I'm glad you found me :) That sounds like a pretty good description of me, lol. Pastrix looks cool, but Les Mis, nyah, I'm going to skip it (this time around...and the next too ;)). Pastrix is amazing, for real. No Les Mis for you Bryan?? ;) Come on! 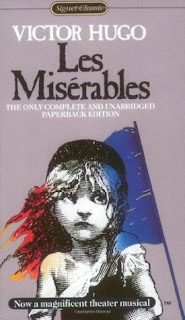 Les Mis...one of these days...not now, but I hope you find a reading buddy! I applaud you for homeschooling! I worked most of my adult life as a Special Ed. 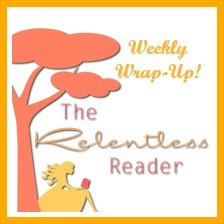 teacher's assistant/Title 1 reading specialist. My son has Asperger's and at that time it was not widely known or understood, and his teachers struggled to follow his Individualized Educational Plan. He attended public school off & on, with me schooling him for 4 years of his elementary schooltime(we also belonged to a huge, secular homeschool group that did art lessons, theater practice, scouts, day trips, etc. We mostly "unschooled" for the last 2 years of his high school, with him doing a lot of his own research because he was motivated. He passed the GED, attended state university and is currently studying for his LSAT so he can apply to law school in the near future. It isn't for everyone, that's for certain, but for those who do, the rewards are huge. Sorry to ramble on, & to pass on Le Mis, but I did request Pastrix from Netgalley, so maybe on that one. Ramble away, I love it :) We go through a local charter school. My daughter attends enrichment classes there once a week. It's great because they teach things that I can't/won't. ;) This year she'll be taking a Shakespeare class, for example. Congrats to you and to your son :D The rewards are HUGE! Oh, I hope you get to read Pastrix. It's so darn good! I can't wait to read your thought on Five Days at Memorial. I plan on reading it soon though I wish I had a print copy to keep up with my notes. Is it me or is it easy to spend hours pouring over catalogs and websites when it comes to picking out new curriculum? I love it. This week I plan on reading and writing as much as I possibly can. :-) Have a good week. Five Days..whew, so so good! I hope you love it too! I love picking out curriculum! THE POWER! Lol ;) Really though, it's such a fun chore. I hope you are enjoying the new Jamie Ford novel. I'm hoping to read his first this next month! It was good Brooke :) I finished it last night. Now, onto Les Mis! Ack! have a great school year! enjoy les miserables! I am getting ready to go back to school too, but for work. :( So sad. Christmas break would be a good time for a chunkster...and I don't blame you for thinking about it already, lol. I'm looking forward to your review on Songs of Willow Frost! I've put Les Mis off for much too long. I was going to read it years ago. I was going to read it before the movie came out. But now is the time darn it! I hope you join in!! 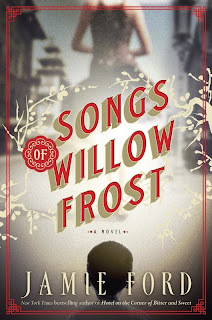 I finished reading 'Songs of Willow Frost' a few weeks ago (actually working on the review for my site now). Oh my goodness, be prepared to totally fall in love with that book! I found it to be quite lovely! Loved the setting :D I'll have to check out your review! I am so tempted to do the Les Mis thing... hmmmm. I think I'm maybe too swamped now for it but, we'll see. :) It's definitely on my TBR bucket list. We're starting our homeschool co-op this week, and there are something like 8 other preschool kids who will be there. C is sooooo excited about it! I don't feel like a "real" homeschool mom yet because we don't start registering/reporting until next year, but the kid is doing Singapore Math and flying through Reading Eggs so... yeah. It's an adventure! I started it yesterday. I dig it already, but it's a dense read! Good luck with Les Mis. I would totally read it with you, but I have committed to too many books for September! And yay for school starting again soon. It is a fun time of year. I used to get all excited to go teach and now I am just excited to see all the new school supplies. . . even though I don't buy any. I'm so glad to start Les Mis because it means I've gotten through a LOT of books on my stacks. I tried to keep September fairly clear of obligations :) October? That's a different story! Blargh Les Mis is my reading kryptonite. I've tried to read it 2-3 times and never got past the first 100 pages. Good luck! Ha ha! That made me laugh Nikki, reading kryptonite! Thanks for the luck! OOoo how is the new Jamie Ford book? And hooray are we tackling Les Mis in September?! It's a good thing I make a list of all of my books as they go into boxes, so I know exactly which one to dig it out of ;) Do you want to email or tweet as we go? You are so brave for homeschooling your girl. And honestly, picking out lesson plans and stuff just sounds fun, because I'm nerdy and neurotic like that, LOL! The Ford was very good ;) Melancholy as all get out. Oh my word, that's the best for us nerdy folks! Seriously, love that stuff so much! Oooo fun! I probably won't be able to start reading until next week, but yay! I read Les Miserables time ago and I enjoyed the story very much. The political parts were less gripping though, but in the end it is worth the time you spend with it. Hope you and your childre have a wonderful new academic year! I'm done with school, no kids, my husband is now ABD on his doctorate (so no more classes!) so I can't really connect with the "yay new school year!" part, but... I am SUPER HAPPY to have concert season start back up!! I missed my orchestras and rehearsals with everybody. And more stuff happening to review for my performing arts online journal I write for. Whoo! I might be the only person bored to death by summer. LOL ;) I'm no fan of summer. I don't like the heat and I don't like the non-schedule. I'm super glad fall is almost here!